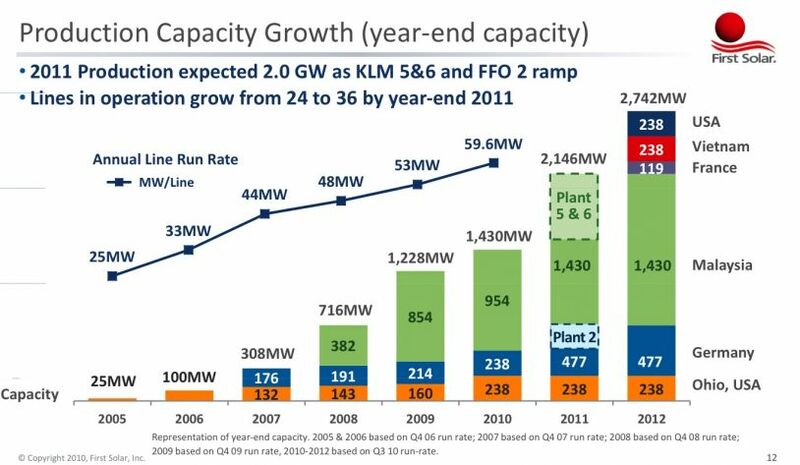 2010 sales of $2.564 billion; 11.6% efficiency at $0.75 per-watt cost; 2 gigawatts of production guidance for 2011. 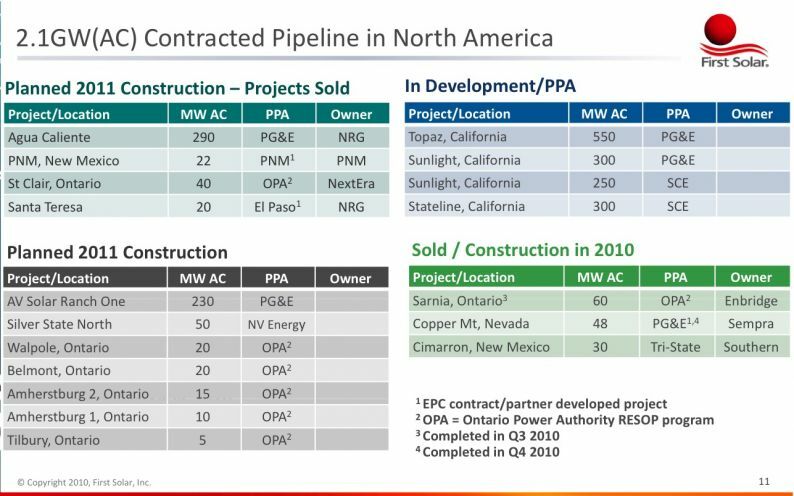 Rob Gillette, the CEO of First Solar, just announced the following in their Q4 earnings call. "2010 was a good year." Can the growing North American market offset the slowdown in European growth? What will be the impact of fading European policy support for large ground mount project? What about the impact of local content requirements in new growth markets such as Canada and India. Can project economics remain attractive in a low PPA/high financing cost environment? What is the likelihood of EDF Energies Nouvelles getting approval to build a 261-megawatt project in France (near Beaucaire in the Provence region) using FSLR modules. 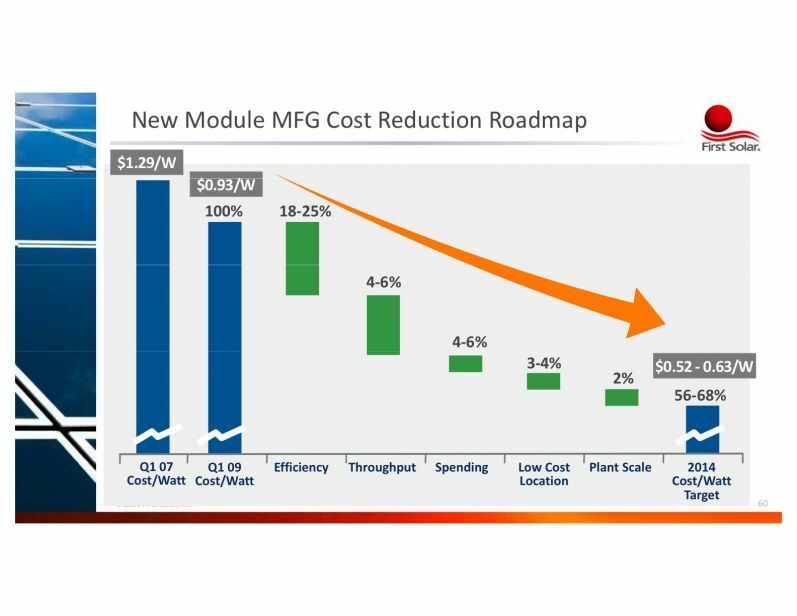 This would be a module sale (rather than a system sale) for First Solar and could translate into $260 million to $400 million in revenue between 4Q11 and 2013. 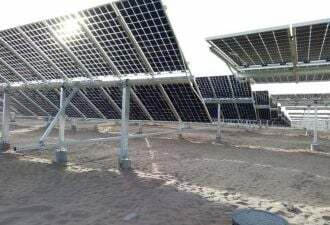 First Solar stock is currently trading at $165.42, up 1.5 percent. The firm has a market cap of $14.18 billion. 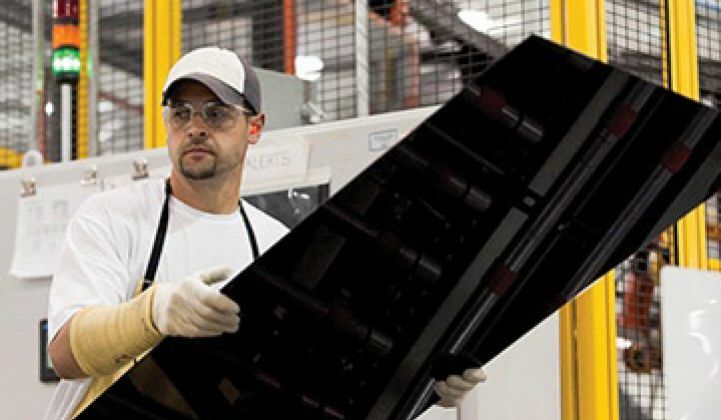 Representatives of First Solar will be speaking at Greentech Media's Solar Summit next month. More details here.